MrQwest ~ A Croydon Web Designer for hire! I'm Anthony, a freelance Designer and front-end developer living in Croydon, on the outskirts of South London. I've been working with the web since '98 and have built sites for construction companies, local radio stations, music artists and more. I'm passionate about what I do, and take a great deal of care in crafting websites that work. So whether I'm sketching out a userflow on paper, or adding the finishing touches to a website; I'll be sweating over the details so you don't have to! If you are in the market for a new designer to work on your next great idea or maybe you've already got the design nailed and want someone (me?) to turn it into a fully functioning and interactive experience for your users, feel free to get in touch and say hello! Maybe we could work together on that next great project! You can grab me on email (hello@mrqwest.co.uk), send me a tweet or even pop along to a CroydonCreativ.es meeting and I'll buy you a beer! I've picked a few of my most recent projects from 2012. I figured work older than a year will be out of date in relation to my abilities. 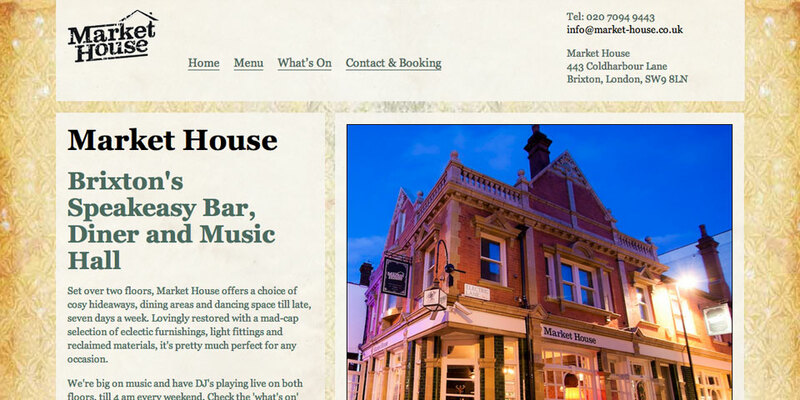 I was tasked with turning the designs provided by the Market House's own designer into a WordPress theme allowing the staff to update the website and add new content as required. The site also pulls in photos automatically from Instagram allowing the sections such as 'Dish of the Week' to be updated via mobile on the restaurant floor. 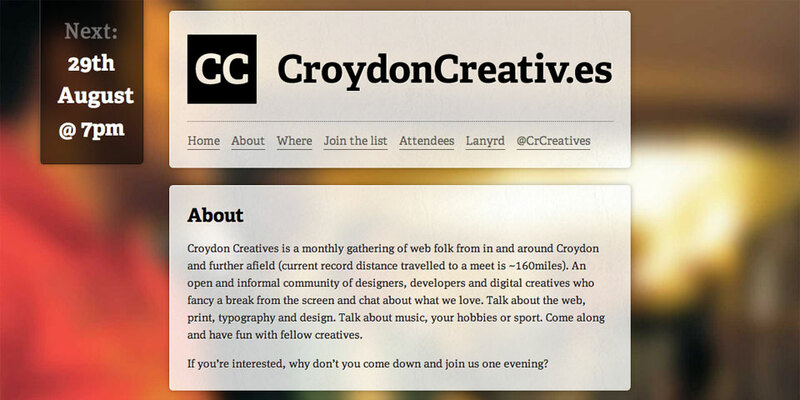 The CroydonCreativ.es is a group of designers, developers and web workers in Croydon and surrounding areas. We meet on a monthly basis over beer and food. I organise the meetings as well as designed and developed the website. Further developments and optimisations came from Steve Rydz and CroydonCreativ.es attendees via the GitHub repo. 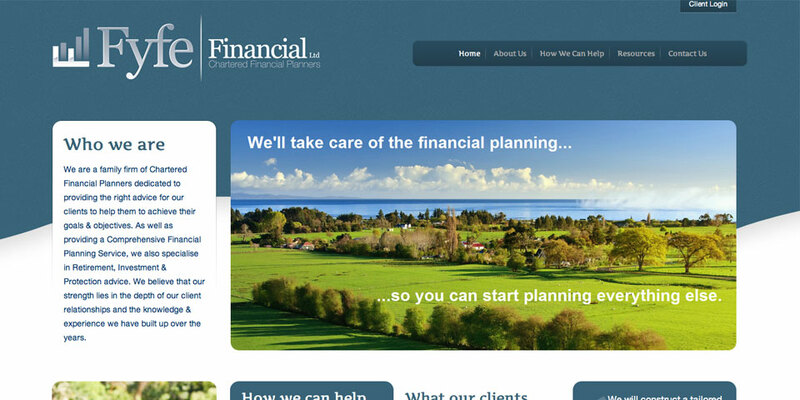 Working with CodePotato; I was tasked with designing the new Fyfe Financial website. Fyfe Financial wanted to position themselves within the higher end of the financial planning market and aimed to help those with money to invest so we used large images aimed to relate with those within the target audience. Coupled with clear messages and an open feeling to the design, it had been achieved. 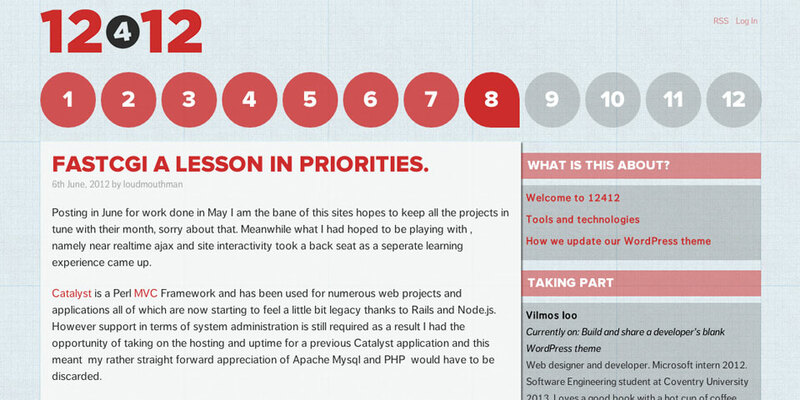 Once designed and signed off, CodePotato built the WordPress theme and functionality required. 12412 is an initiative organised by Stephen Fulljames, Paul Adam Davis and myself. The idea is to learn 12 new skills or technologies throughout 2012. We wanted to get the community involved by making the inital blog public so anyone could register & start posting. I developed the initial identity and branding / colourways with input from Stephen & Paul. Stephen then built the theme files for WordPress and I finished up with some typography styling. 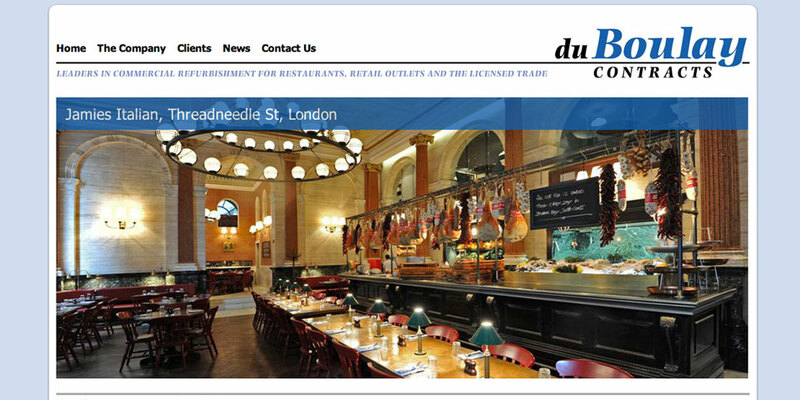 du Boulay Contracts approached me when they decided to refresh their website. The previous incarnation had been in use for 4 years and had become bloated with content. The client works within the high end restaurant sector and wanted to show off their work by using large images across most of the site. As most client work came via word of mouth, it was decided to use the website more as a showcase rather than a selling tool. Sitting down with the client, we went through and completed a content audit, removing what was no longer needed and focusing and the content which would benefit the focus of the new website. The current site is built on static HTML, CSS & a sprinkling of jQuery but with a view of moving it over to a Content Management System in the near future. You can find me on these services. Come and say hello!